The boundaries of Los Angeles County’s five supervisorial districts shift ever so slightly today, a month after the Board of Supervisors rejected major changes that would have boosted the voting power of Latinos. The new redistricting map closely follows the previous plan, prompting threats of a lawsuit from civil right activists who maintain Latinos should constitute the majority in two districts, not just one, since they make up 47 percent of the county’s 9.8 million residents. County Assistant CEO Martin Zimmerman said most of the significant boundary adjustments were made in the San Gabriel Valley: portions of Whittier and Rowland Heights from the 1st to the 4th; Santa Fe Springs was moved from the 1st to the 4th District; Claremont and West Covina from the 5th to the 1st. Blandford Elementary celebrated its Hispanic heritage at its Latino Night on Oct. 18. Families and friends from Rowland Heights celebrated the grand fiesta. The event was organized by the PTA and a team of Latino teachers. “I think it’s great. It teaches the children tolerance and understanding for other cultures,” said Christina Meacham, whose 10-year-old daughter Mykel is a fourth-grader at Blandford. Meacham manned the taco stand, where families could purchase combination plates with tacos, tamales, rice and beans. Read more in Richard Irwin’s story Latino. When Mike Hong decided to open his Culinary Institute of Korea, he did so in Chino Hills – hardly the most Asian community in the Southland. 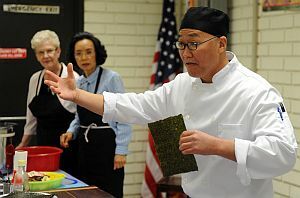 And when Hong began publicly demonstrating the art of Korean cooking Saturday, he did so in the Hacienda Heights library; this Saturday he’ll be at the public library in Diamond Bar – two communities experiencing a wave of Chinese immigrants, not necessarily Korean transplants. But that is the point. Hong, 46, said he wants to expand both the audience and chefs of Korean cuisine. Read more in Steve Scauzillo’s story Korean. 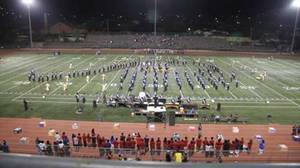 Get ready to experience more than 20 high school bands perform at the 41st Annual Rowland Field Show Tournament on Saturday, October 15 from 2 to 8:30 p.m. at the Rowland High School Stadium. Drawing more than 5,000 people, the Rowland Field Show Tournament is the biggest fundraiser for the Rowland Instrumental Music (RIM) Club, the booster club that supports the Rowland Raider Regiment. Rowland High School is located at 2000 S. Otterbein Avenue in Rowland Heights. Happy Birthday! Palm Elementary School turns 50 today. 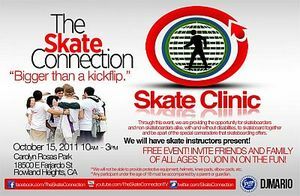 And to celebrate, the Hacienda Heights school will be throwing a big party this afternoon. The grand celebration begins with a concert by the Mariachi Divas, which began with a Hacienda Heights woman. There will also be many fun activities. Losing several businesses and retailers in succession over the past few months is a big concern that three candidates running for two seats on the Diamond Bar City Council next month want to address. Long-time council members Jack Tanaka and Carol Herrera are running for re-election. They are hoping to defend their seats from challenger Shawn Dhand, who unsuccessfully ran for City Council two years ago against councilmen Ron Everett and Steve Tye. And while most candidates then were focused on a proposed NFL stadium in neighboring Industry, this time around the trio is concerned about how to stimulate the local economy and retain the businesses already established in Diamond Bar. Read all about the candidates in Juliette Fune’s story Council. The Youth Science Center in Hacienda Heights is sponsoring an essay contest for girls 8 to 17 years old. The contest encourages young women to pursue careers in science, technology, engineering and mathematics. The contest honors Gwynne Shotwell, president of SpaceX, who will be the special guest speaker at the Youth Science Center’s yearly gala on Nov. 10 at Pacific Palms. Essay winners will attend the gala with two guests as well as a cash prize. One winner will be chosen from elementary, middle school and high schools. The one-page typed essays should be no more than 500 words. They should address these questions: Which part of science, technology, engineering, mathematics are you interested in for a future career? What work or projects would you like to see yourself doing? Why would this work be important to your future? Include name, age, address and what school you attend. The deadline is Oct. 17. Email essay to ysc@youthsciencecenter.org or mail them to the Youth Science Center, 16949 Wedgeworth Drive, Hacienda Heights CA 91745. Hacienda Height’s own Lotus Bud Gu Zheng Academy will hold its annual concert at the Richard Nixon Presidential Library concert hall in Yorba Linda on Sunday, Oct. 9, at 2 p.m.
Shope will discuss the importance of education in science, technology, engineering and mathematics. He will show how to encourage an interest in children through some exciting local programs. The meeting will be held in the community room at Pathfinder Park, 18150 E. Pathfinder Roads. The first hour of the meeting will include reports on community issues from the Sheriff’s Department, the CHP and elected officials. The status of the redrawing of the county supervisorial district boundaries will be updated.